Are you between a rock and a hard place? It sounds like you need our heavy-duty Rock Drill. No job is too tough and no rock is too hard for PLC. When we say ‘Rock Drill’ we’re not talking about your every-day hand-held pneumatic drill. 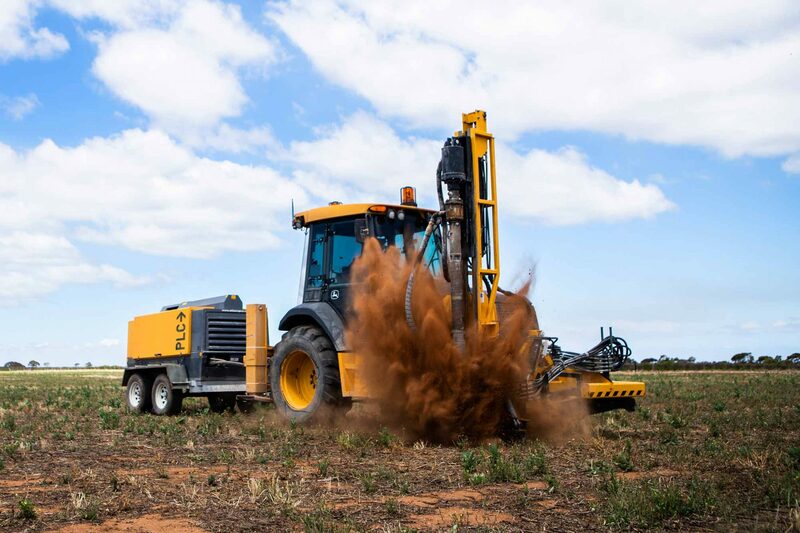 Our custom made hammer drill is mounted to a John Deere utility tractor for manoeuvrability and stability and powered by a seperate power plant and compressor to provide a shattering blow to the toughest rock. Recent work carried out for the Tailem Bend Solar Farm saw PLC drilling over 50 thousand holes into hard rock. PLC had its specialised rock drilling machinery on site day-in day-out to get the task done on time and to specification. 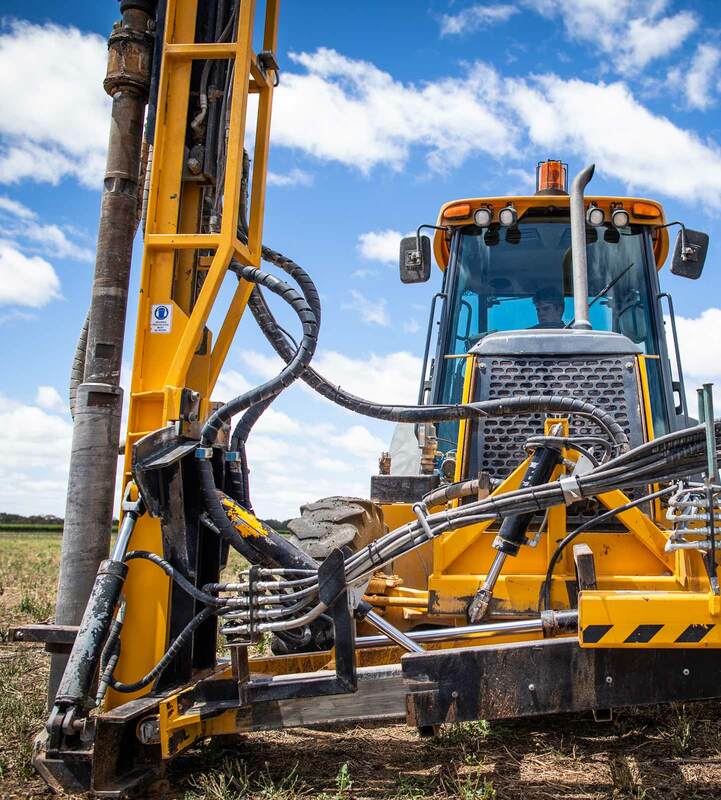 Our rock drilling capabilities are dialled in for use in harsh conditions and heavy-duty work. 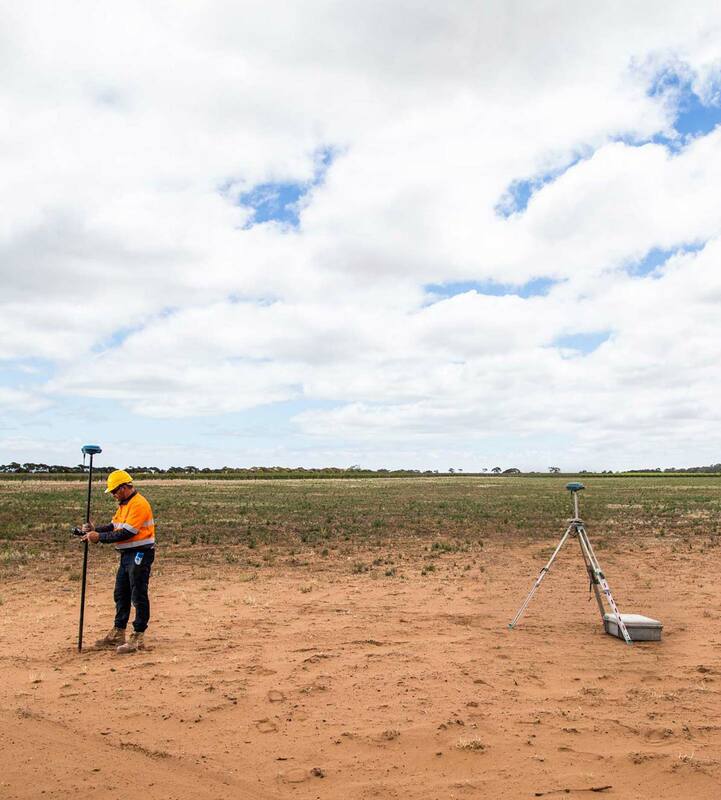 We’ve invested in equipment that allows us to work efficiently and effectively—and when coupled with our GNSS (global navigation satellite system) and base station we can place millimeter accurate drill holes in the toughest of places. Drilling. Straight down. Fencing. Straight up. We’re always looking for new projects and opportunities. To request a quote, book a meeting, or for further information on the services we provide please fill in your details or contact us via phone or email.